Netball is a ball sport played by two teams of seven players. Games are played on a rectangular court with raised goal rings at each end. The object is to score goals from within a defined area, by throwing a ball into a ring attached to a 3.05 metres (10 feet) high post. Players are assigned specific positions, which define their roles within the team and restrict their movement to certain areas of the court. During general play, a player with the ball can hold onto it for only three seconds before shooting for a goal or passing to another player. The winning team is the one that scores the most goals. Netball games are 60 minutes long but variations have been developed to increase the game’s pace and appeal to a wider audience. Learn more about the history of netball. Learn more about the official rules of netball. Netball is played by more than 20 million people in more than 80 countries worldwide and is most popular in Commonwealth nations. It is predominantly played by women. 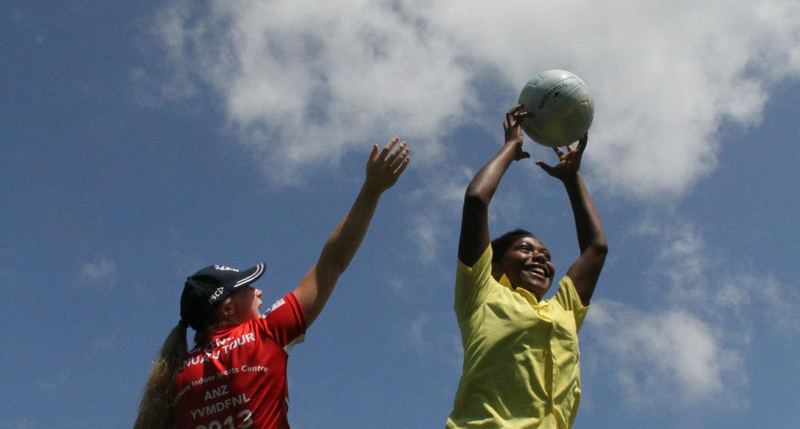 In 1995 netball became a recognised sport by the International Olympic Committee (IOC). Netball is the most popular women’s sport in Australia with an estimated one million players nationwide. Although traditionally identified as a sport for women, there is no reason why it can’t be played with mixed teams and more boys and men are becoming increasingly involved. The world’s two major domestic competitions are the ANZ Championship, played in Australia and New Zealand, and England’s Netball Superleague.